I’m sure you have a leather skirt and maybe you have a wrapped skirt too, but what about a wrapped leather one? 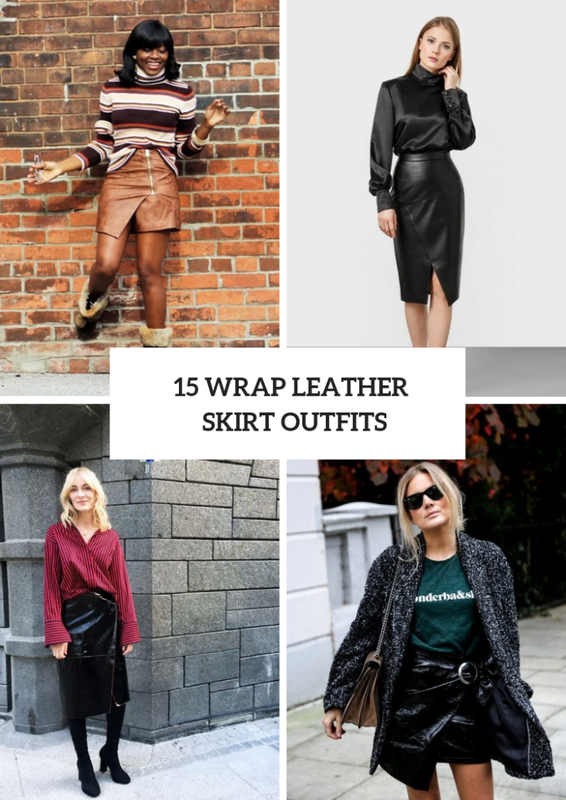 From my point of view, a leather skirt is one of the best ideas for winter outfits because it is comfy-to-wear, easy-to-combine and warm. For an eye-catching outfit you can choose a trendy patent leather mini wrapped skirt or an asymmetrical midi one, but if you wanna create a casual look you can take a knee-length skirt with a wide belt or high-waisted one. Right now you can scroll down to see all ideas. 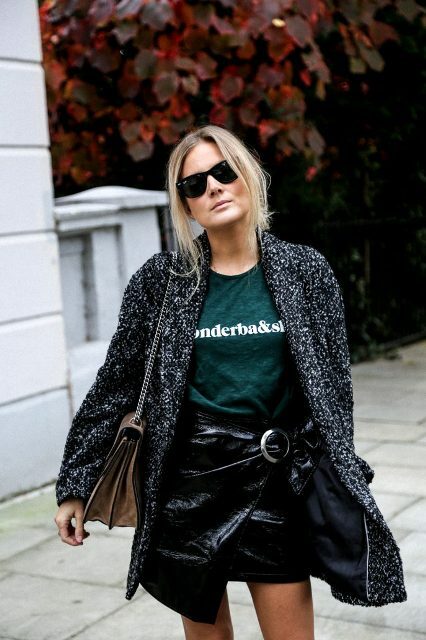 For creating a relaxed and casual outfit you can choose an olive green loose sweater and mix it with a black patent leather mini skirt with a belt, framed sunglasses and black leather ankle boots. For colder days you can add a long jacket or mini coat to this look. 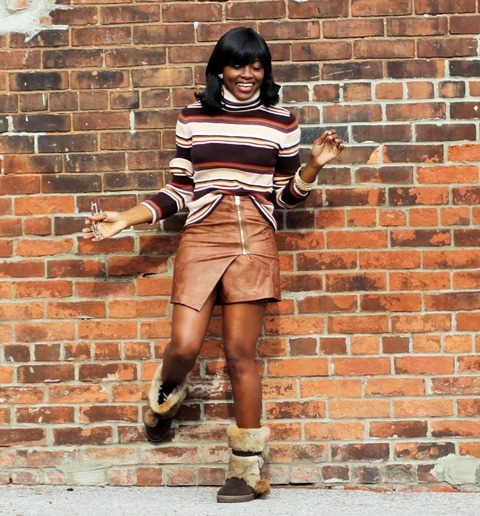 One more idea of a casual styled outfit is a combination of a striped turtleneck sweater, a brown leather wrapped skirt and faux fur mid calf boots. If you want to make something elegant, then you can try to repeat an outfit with a mint green sweatshirt, suede ankle boots, a metallic clutch, a navy blue blazer and a wrapped skirt with an asymmetrical hem. If you are looking for office styled ideas (if you don’t have a strict dress code, of course), then you can choose a red and black striped wrapped shirt and try to combine it with a black leather wrapped midi skirt and black suede over the knee boots. Or you can mix a gray top with a loose checked blazer, a red leather wrapped knee-length skirt, black leather ankle boots, a black chain strap bag and sunglasses. For more ideas look below.